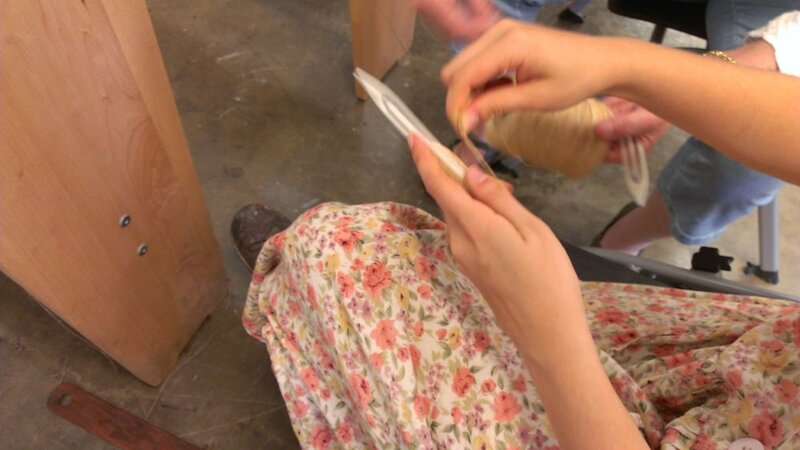 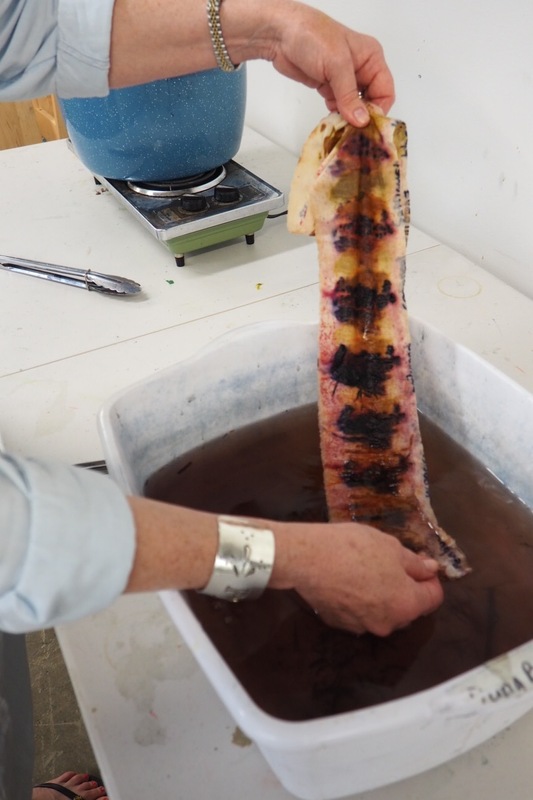 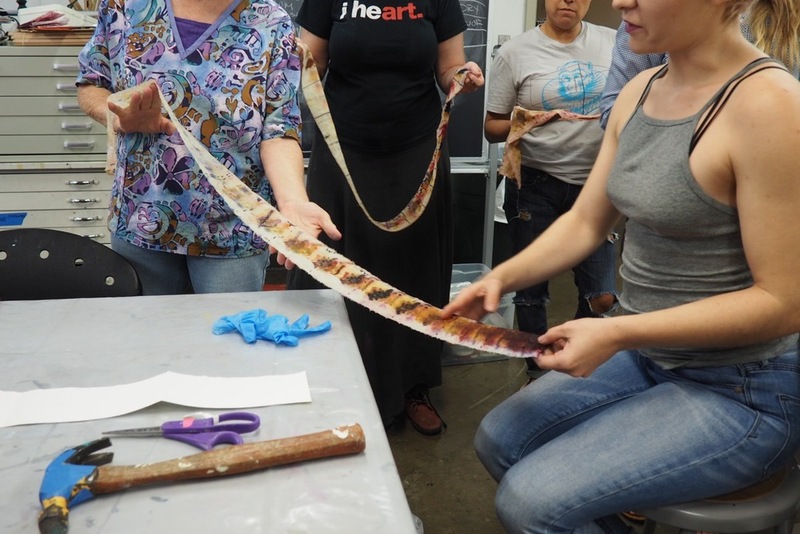 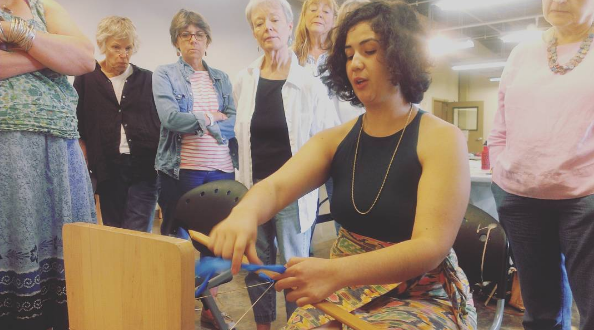 In this six hour workshop Southwest School of Art participants explored the magic of bundle dyeing on silk and cotton with organic materials. 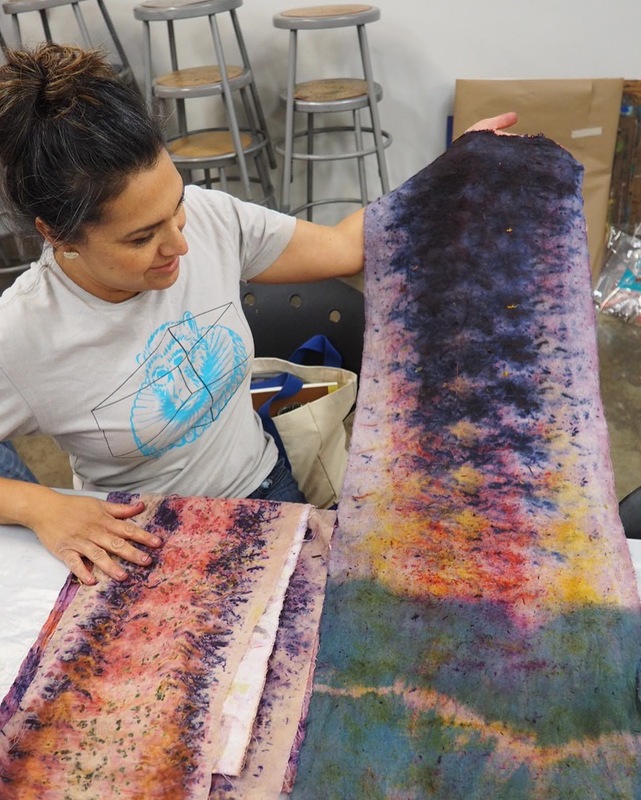 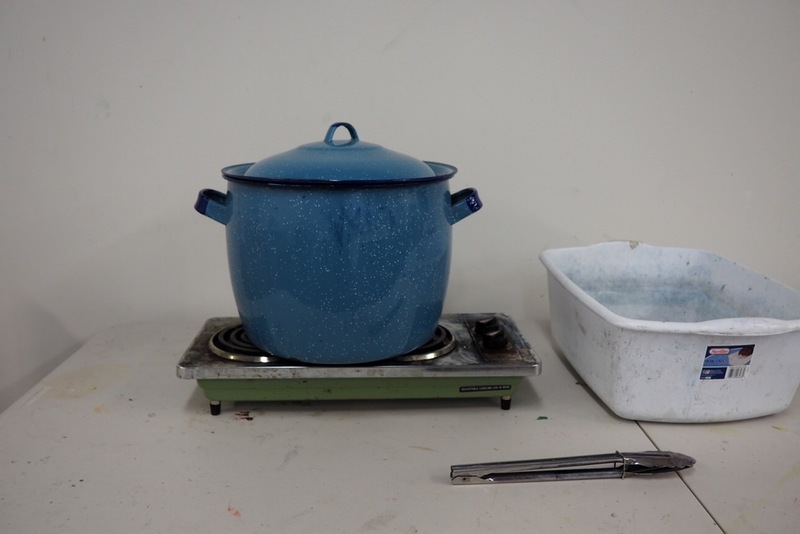 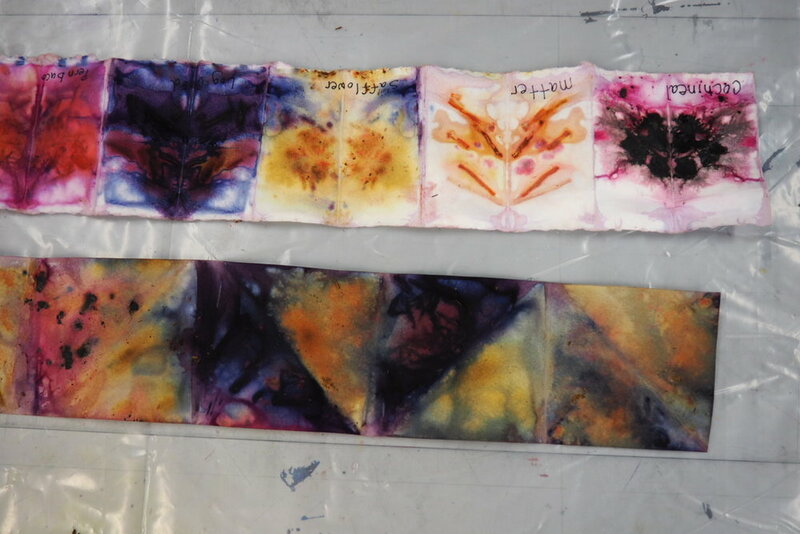 Students learned how to imprints beautiful color on cloth by using mordants salts, pressure, and steam while using very small amounts of water and dyestuff. 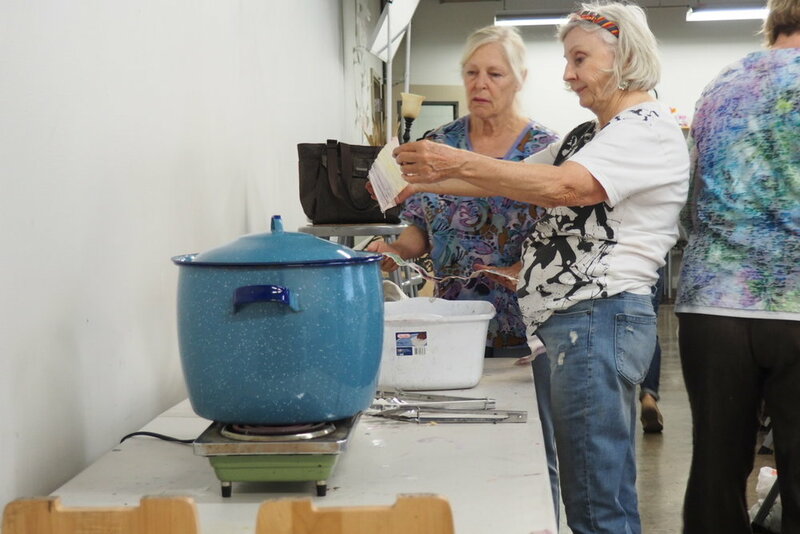 Participants learned the natural dye basics such as how to extract natural color, what are mordants and tannins, and how to use them to prep silk and cotton. 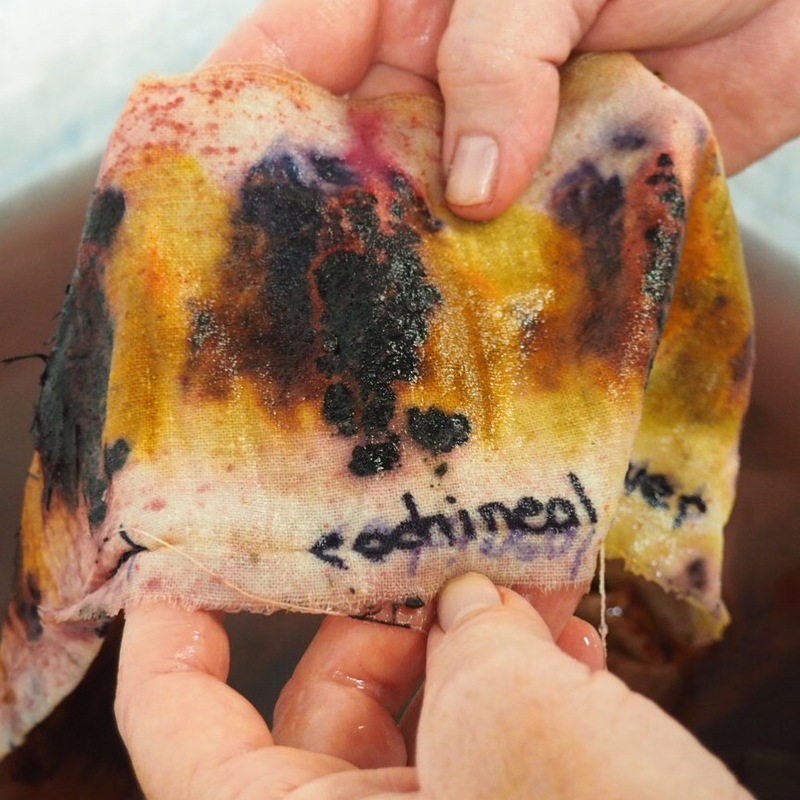 We experimented with historical natural dyestuff such as cochineal, marigold, and logwood. 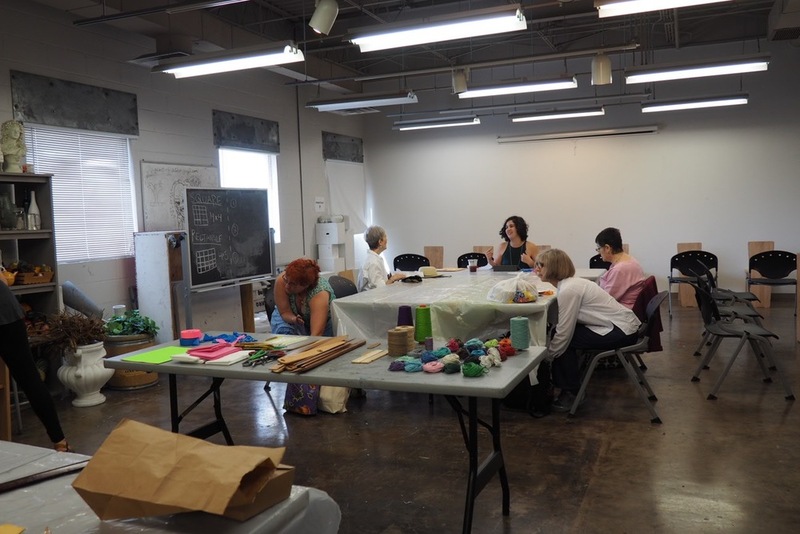 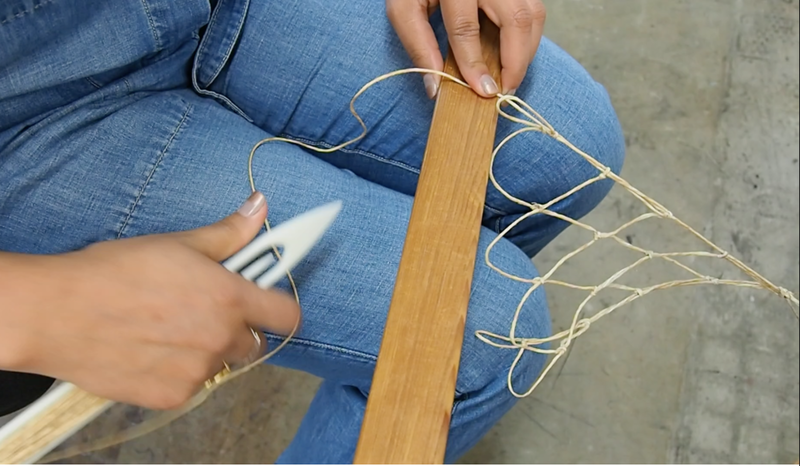 Fiber artist Analise Minjarez tought students how to create open work textiles through the processes of knotted netting, knot-less netting, and dimensional netting around objects. 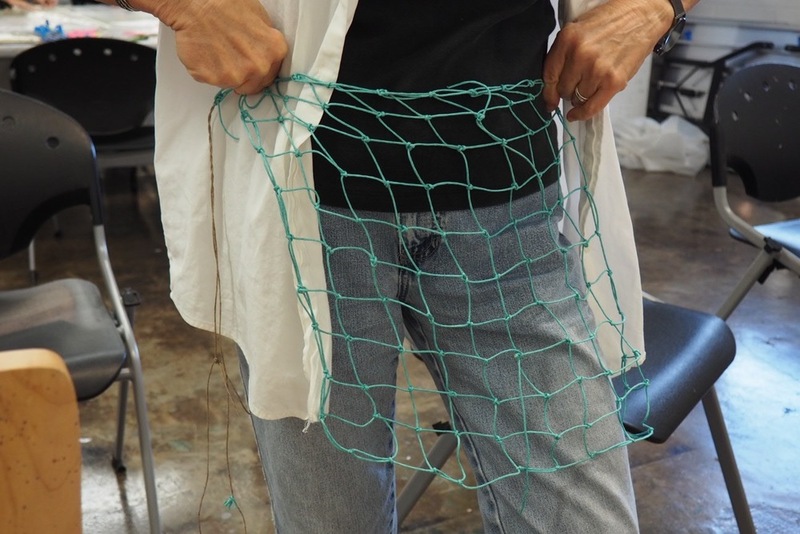 During the workshop, students explored conceptual ideas of the net and learned cultural history of the traditional craft.